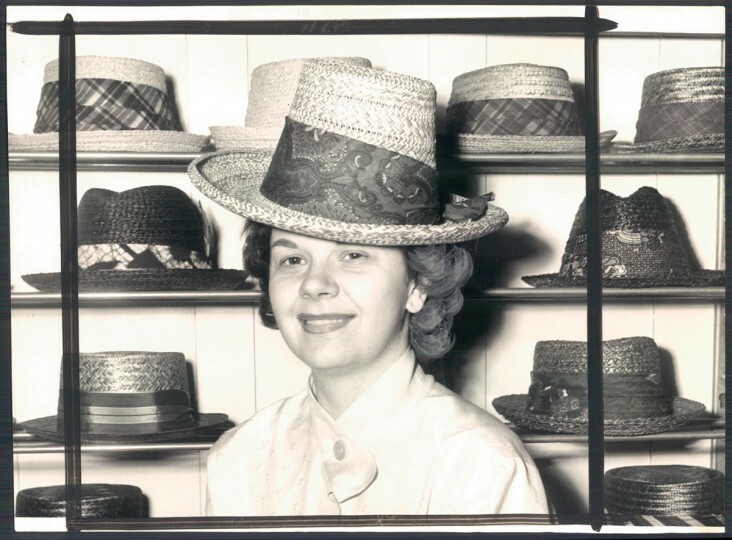 May 15 was once “straw hat day” in Baltimore and other American cities. 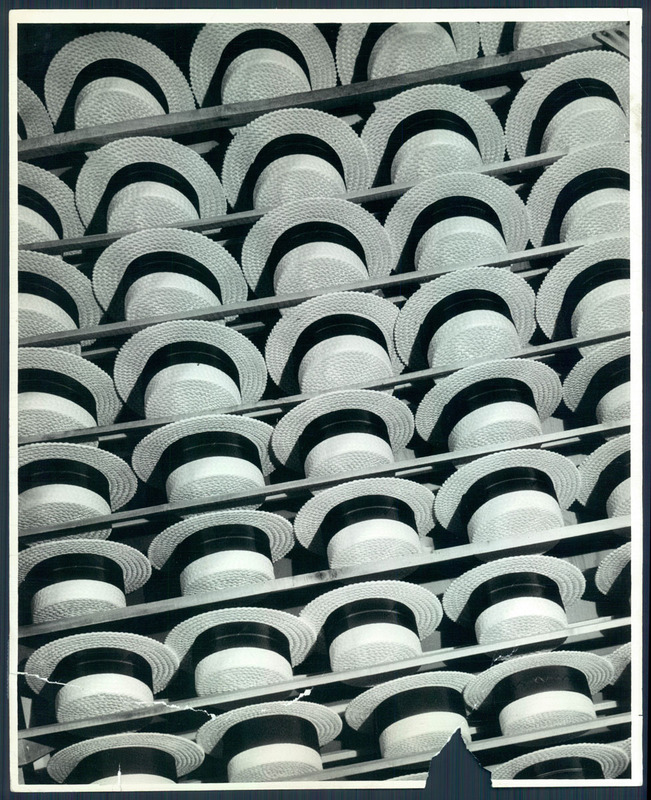 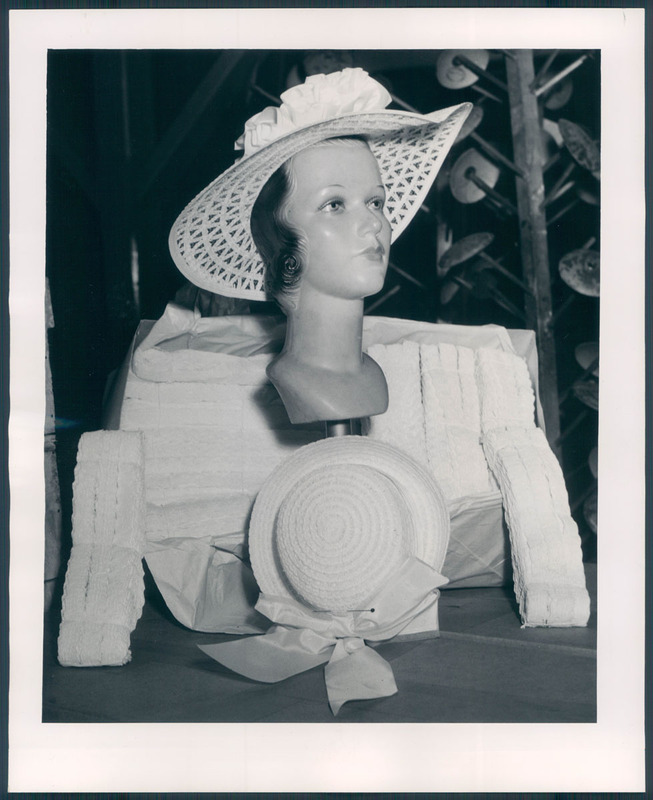 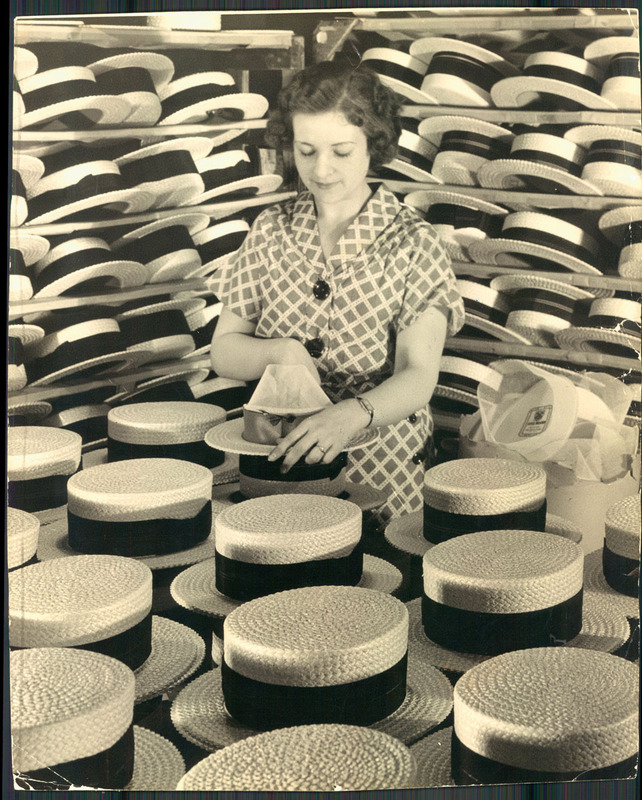 March 17, 1936-” STRAW HATS”–On display at the Charcoal Club gallery 853 Linden Avenue exhibition. 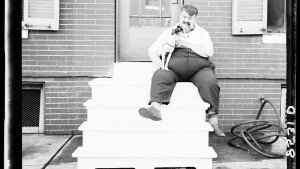 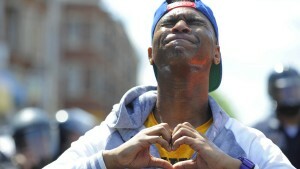 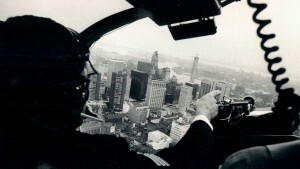 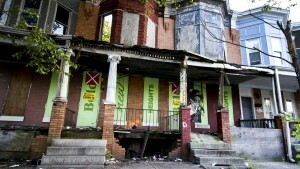 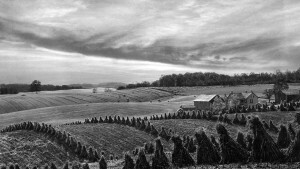 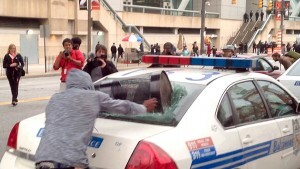 Photo by Sun photographer A. Aubrey Bodine. 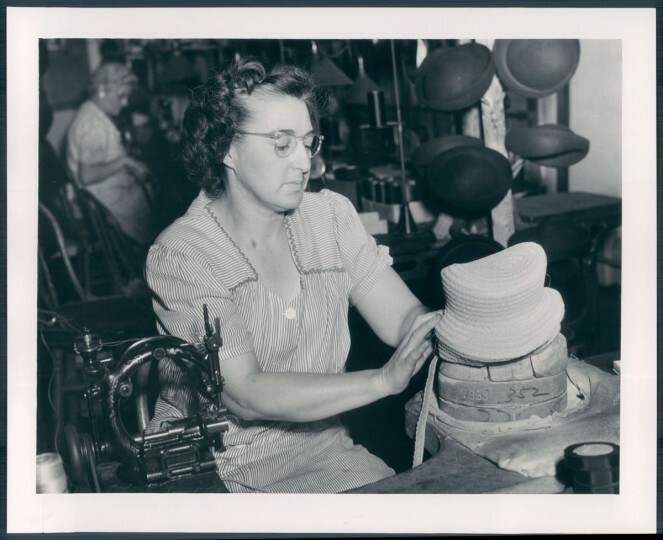 In those days, straw hat manufacturing flourished in the city’s Garment District — around Redwood, Paca, Lombard and Sharp streets. 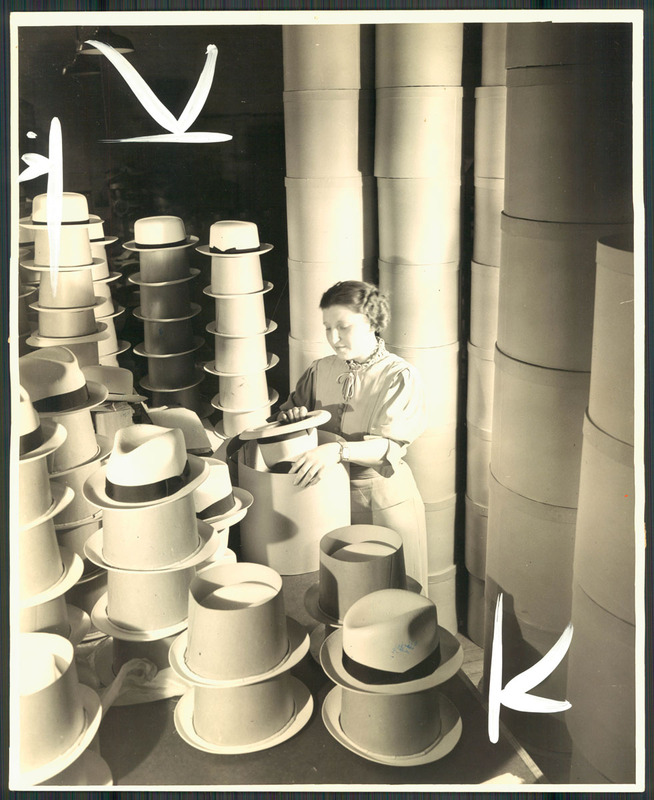 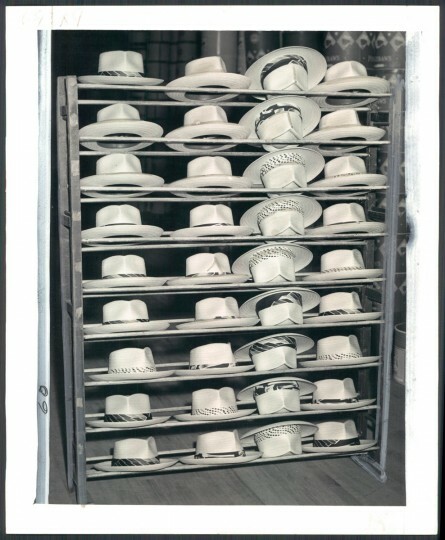 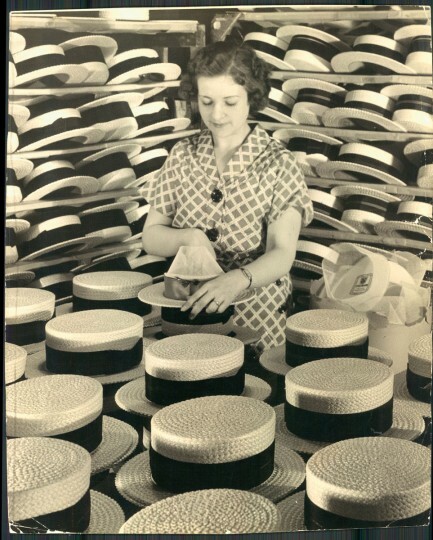 In the 1920s the industry employed over 2,000 workers, who produced around 3 million straw hats a year. “Baltimore is noted as the greatest producer of straw hats of the better grades of any spot in this country, and those hats find their way to far distant lands and many climes,” The Sun reported in 1922. 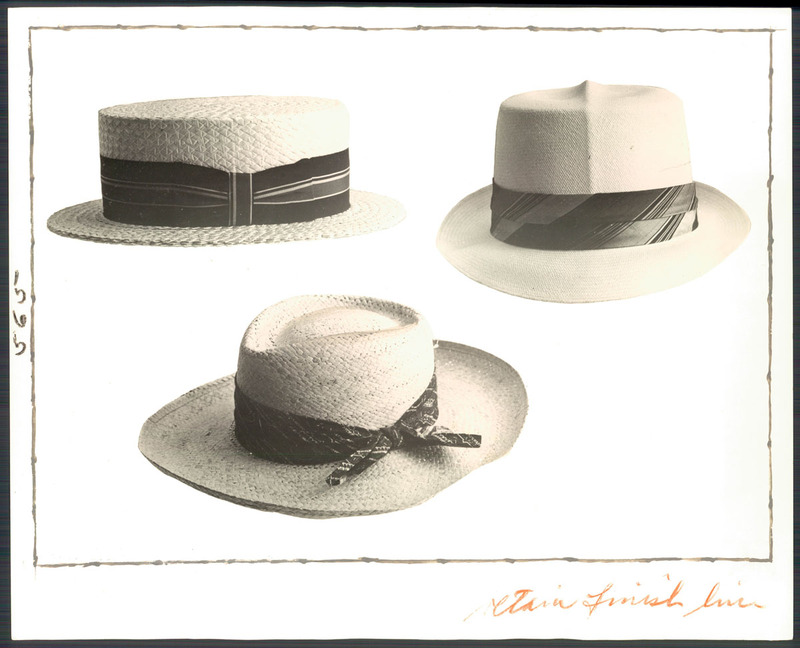 “They even wear Baltimore straw hats in Alaska, though the Esquimaux [sic] have not yet officially adopted them.” The Sun claimed. 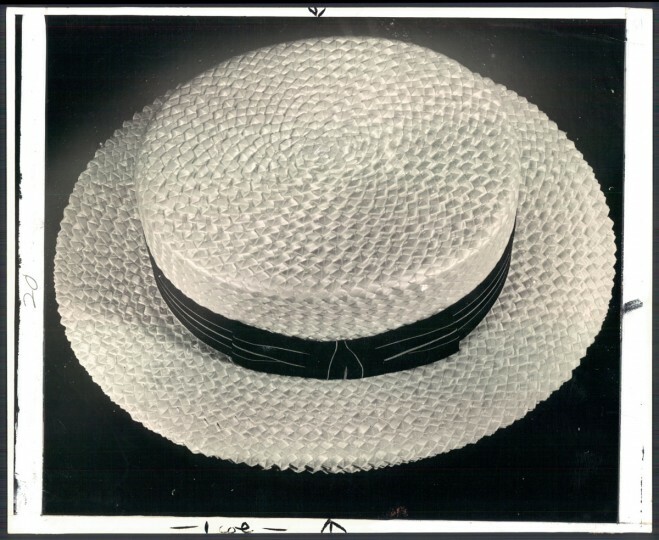 In the late 19th century, most of the braided straw for use in hats came from Belgium and Italy where it had been woven. 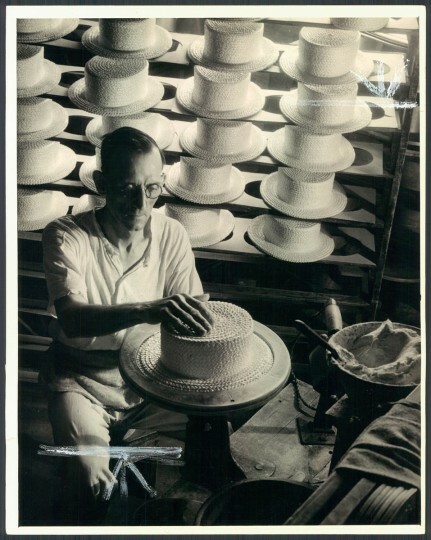 Straw production later shifted, as with many things, to China – where the wheat and barley and buckwheat was grown. 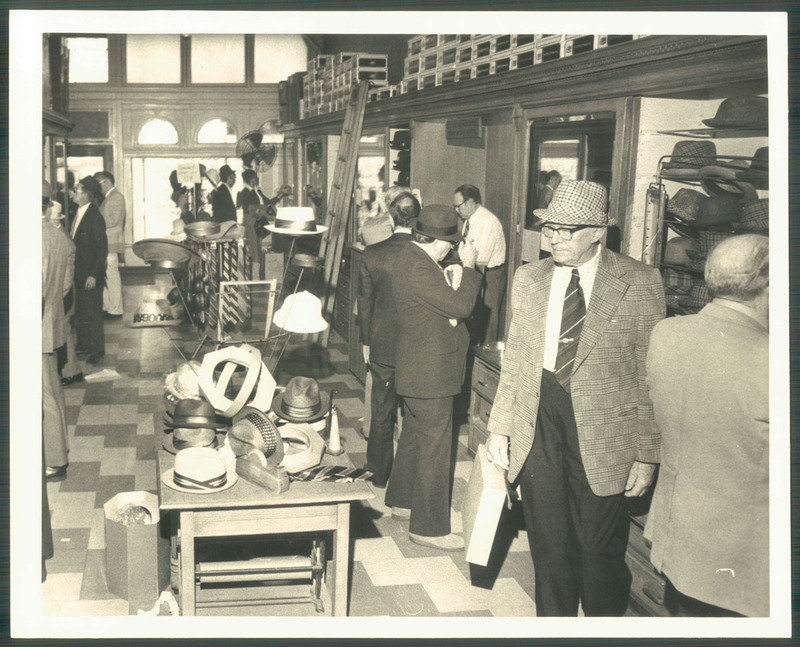 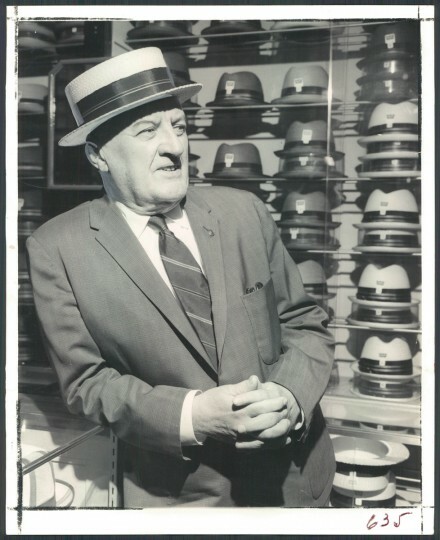 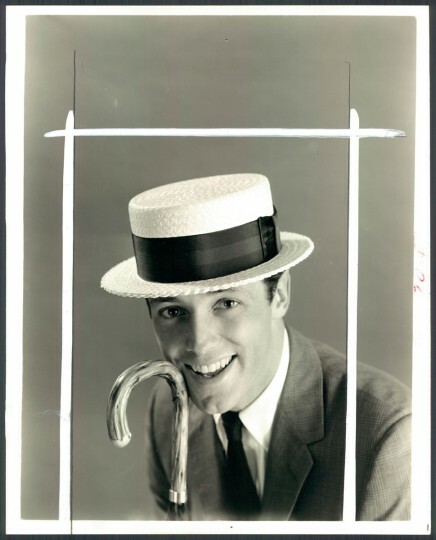 Hat wearing declined steadily after WWII — many blamed President John F. Kennedy, who typically went hatless — and most of the city’s hat shops have long since closed. 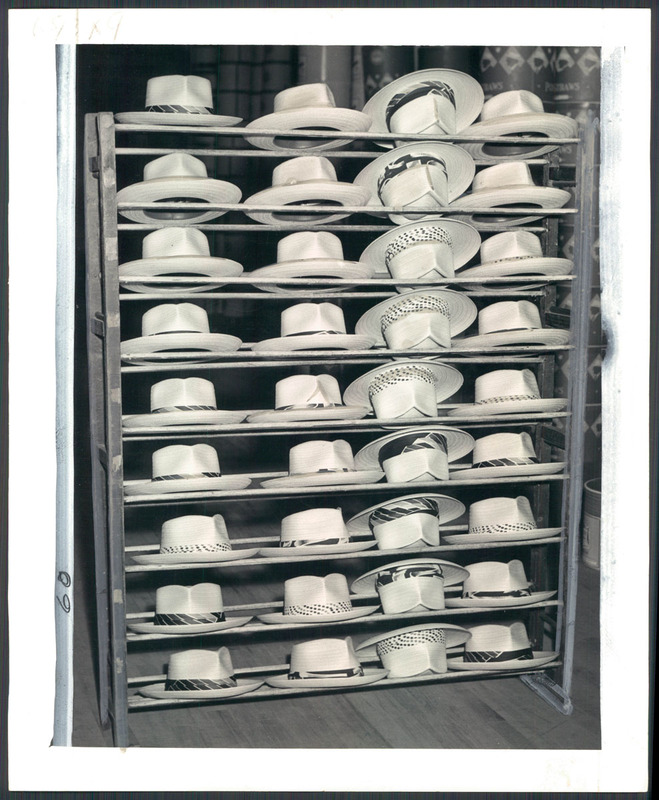 Of course, a few stalwart wearers of boaters and Panama hats do remain — a few of them in The Baltimore Sun newsroom.